Kik Interactive was founded six years ago in Waterloo by Ted Livingston, who started the company while studying at the University of Waterloo. Messaging app Kik was created by a Canadian team of developers and has proven to be popular among teens. According to a new report from Bloomberg Business, Kik Interactive is looking to advance its messaging service through partnerships and strategic investments. The company has hired investment back Qatalyst Partners to help work through all the possibilities and offers. The company appears to be considering a sale or a major investment, however, it seems as though an investment is the more likely option. Several reports have claimed that the company is shopping around for a sale, but TechCrunch says (via an internal Kik source) the partnership with Qatalyst is to help expand its network of contacts. These contacts within the tech industry will reportedly help the company gain strategic investors and partners. 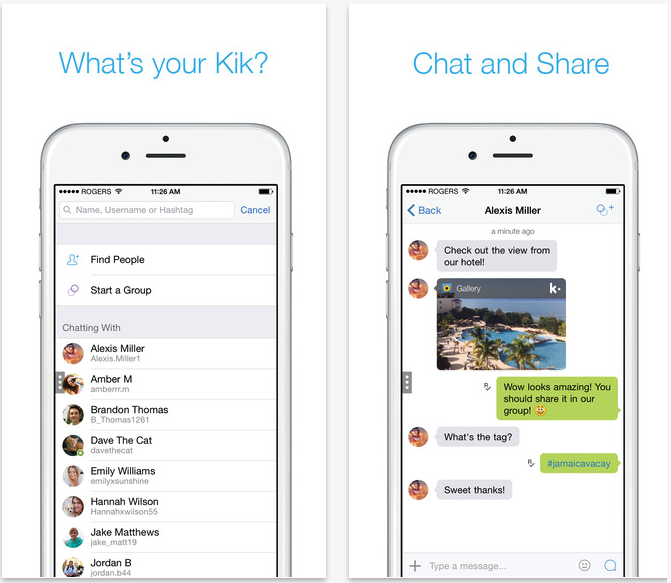 Kik messenger for iOS is available as a free download from the App Store. The app requires a device running iOS 6 or later and has been optimized for the iPhone 5, 6, and 6 Plus. The app also offers in-app purchases that range between $1.19 and $2.29.